Lots of political stuff is going on at The Hague (Netherlands), in France and in the UK at the moment, regarding the EPO’s abuses. 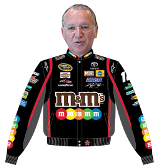 Is Battistelli in trouble? Political actions may not be effective when the EPO enjoys effective immunity. The political system can barely touch the EPO, but the EPO sure is touching the political system and actively lobbies, e.g. for UPC. According to a source of ours, “this just came in. It is an internal job posting. “I didn’t know that the EPO or EPOrg had political views, or was allowed to have her own. Who formulates these? The President? The AC? DG5? The Member states overseeing the AC? But if the same member states also sit at the EU, are they then lobbying themselves? “I wondered what kind of work the Brussels delegate is doing, and found this dating back from 2012 [PDF]. The original file is unusable, and text can neither be searched nor copied. It’s apparently not copy protection-inflicted, just brain-damaged software, so we are hereby including an OCR version [PDF]. 10h45 Enforcement measures for intellectual property rights – what is fair and proportionate? 1. Is copyright enforcement obstinate or obsolete? 2. More than copyright: patents on medicines, software, trademarks, border measures – what should change? Was the EPO batting — like hired guns (lobbyists) — for Hollywood and Mickey Mouse? It’s hard to tell, but it’s inappropriate for the EPO to be involved in this way. It is currently lobbying regarding the UPC. Permanent and contract employees wishing to be considered for this vacancy are invited to apply online. It is intended to fill this vacancy by transfer under Article 4(1), first and second indents, and Circular 289. Please note that only permanent and contract employees in the same job group as the advertised vacancy are eligible to apply. It is the mission of the EPO’s Brussels Bureau to co-ordinate and enhance relations between the EPO and the European institutions, in support of the EPO’s overall mission and core business and in order to strengthen European stakeholders’ understanding of the EPO’s role as one of the world’s leading patent granting authorities. Under his supervision, the Vice-President DG5 is now looking for a Head of the Brussels Bureau accountable for developing relationships with key players at the European institutions such as the European Parliament, the EU Commission and the EU Council of Ministers and its working groups and delegations and European stakeholders from business and non-governmental organisations (NGOs), and – equally importantly – serving as the EPO’s eyes and ears in Brussels. The successful candidate will be selected on the basis of qualifications and relevant experience, supplemented as appropriate by interviews and/or tests. It is intended to hold the interviews on 01 March 2016 in Munich. The successful candidate will be appointed for an initial period of 3 years, which may then be extended by further fixed periods. The appointment will be subject to a probationary period of six months.